The Aston Martin Valkyrie and Mercedes Project One may have a new contender. The electric hypercar segment is about to be transformed with the arrival of the highly anticipated Aston Martin Valkyrie and Mercedes-Benz Project One, two cars powered by F1 hybrid tech that have the potential to cross the 1,000 horsepower barrier. Both cars are due to launch in 2018, but they could be facing a new contender. At this year’s Geneva Motor Show, Audi revealed to Autocar that it is considering launching a hypercar to rival the Valkyrie and Project One. What isn’t clear is whether Audi’s hypercar will be an all-electric car or have a hybrid powertrain, but his emphasis on Formula E and electromobility hints at the former. If so, this would make it a potential rival to McLaren’s planned electric hypercar. Audi’s previous attempts at producing a performance orientated electric car haven’t been successful, however. 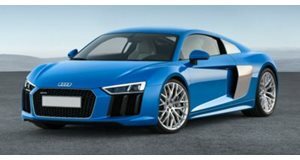 Production for the Audi R8 e-tron electric supercar was ceased just 19 months after it went on sale, and Audi’s plans to build a diesel-electric Audi hypercar linked to its success in Le Mans were also scrapped in 2014. “We looked at doing a car using Le Mans technology but stepped back, as it was clear there was more to come in terms of performance in the future,” Stadler said commenting on the scrapped diesel-electric hypercar.